New Virtual Blue Book Trailer now live! 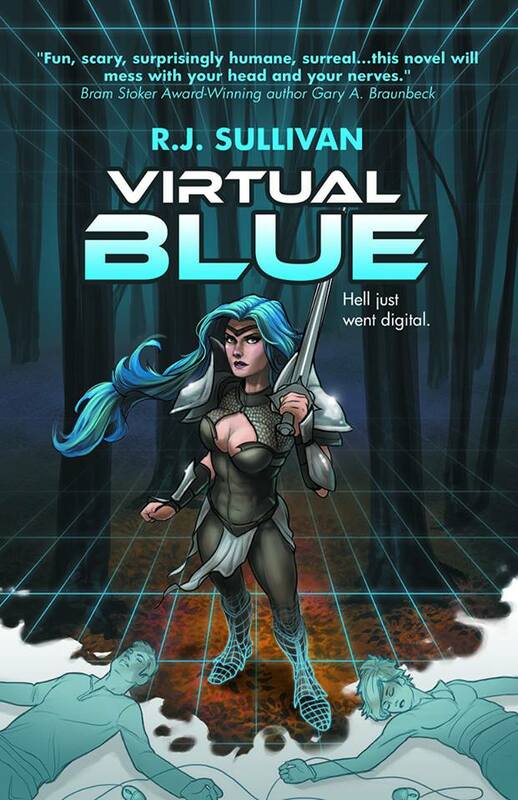 Today Seventh Star launched the official book trailer to Virtual Blue, a collaborative effort with local fan and cosplayer Nikki Howard, who opened up and tapped her inner troubled punk girl. Thanks, Nikki, you are awesome! Special thanks to Eric Garrison for editing the pieces together for me so fast and efficiently. So enough from me, check it out here! This entry was posted in Uncategorized and tagged author marketing, Book Promotion, Book trailer, Cospplay, Eric Garrison, Haunting Blue, Indiana authors, paranormal thriller, punk, Rebecca Burton, RJ Sullivan, series, seventh star press, Virtual Blue. Bookmark the permalink. 1 Response to New Virtual Blue Book Trailer now live!